UPDATE: The Mega Man statue is now available for pre-order and will be available sometime this summer. This commemorative statue is releasing with a $99.95 price tag and will have limited availability. The Mega Man and X commemorative statue, which was first teased at PAX East, has some near-final images that have been released. The number plate will be refined before the actual release, which explains the “near-final” state of the photos. 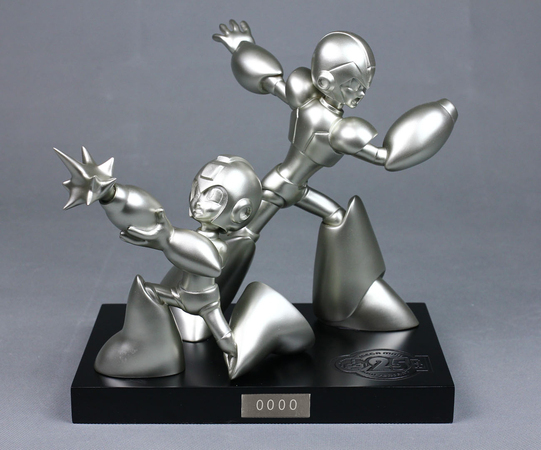 This is a 10-inch resin statue featuring Classic and X in a striking pose. The statue is done in a classy silver finish and looks pretty neat. 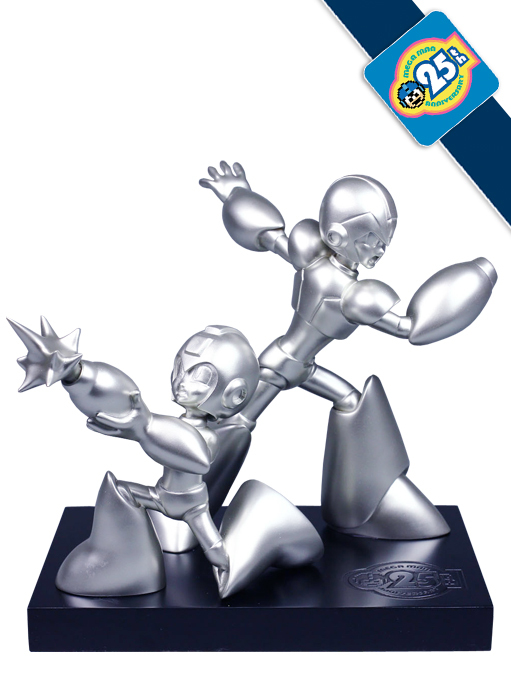 The characters and even the silver finish were chosen to commemorate X’s 20th anniversary. In addition to this, and the US still releasing MM25 items, it was deemed an appropriate choice. The statue will be available at the SDCC in July. For fans who won’t be in attendance at this function the statue will also be available online through the Capcom Store.